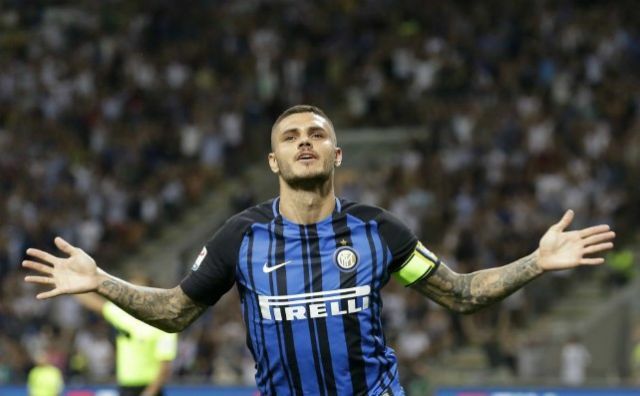 Arsenal and Manchester United may have just been handed a significant boost in their rumoured transfer pursuit of Inter Milan striker Mauro Icardi. According to Diario Gol, Real Madrid had a deal sewn up for the Argentina international after agreeing on an £87million fee to land the player this January. Despite Icardi being available for that price and able to come in and play in the Champions League for Real in the second half of the season, it seems manager Zinedine Zidane was dead against president Florentino Perez completing the deal. Diario Gol claim the French tactician threatened to quit as Madrid boss if the move was completed, leading Perez to put it on hold until the summer. Still, this could be useful information for Arsenal and United after recent links with Icardi as they also look in need of strengthening up front. Mauro Icardi transfer boost for Premier League giants? Gianluca Di Marzio recently listed Arsenal as admirers of the 24-year-old, and it’s clear he’d be an upgrade on the under-performing Alexandre Lacazette, while Alexis Sanchez also needs replacing after moving to Manchester United. Meanwhile, United have also been linked by Don Balon as potential suitors for Icardi, with Romelu Lukaku perhaps in need of replacing after some unconvincing recent form. Despite the arrival of Sanchez at Old Trafford, Icardi could play ahead of the Chilean, who has largely played as a winger or attacking midfielder throughout his career so far.